The Exorcism of Emily Rose (2005) is one of the first mainstream Hollywood movies to highlight the true nature of spiritual warfare in the context of demonic possession without the influence of make up artists that take their cues from pulp films. It is, on the surface, a gritty and scripted courtroom crime drama and mystery. The film's true personality is that of dynamic, everyday people crossing paths with spiritualism and powers that challenge them to reopen their childlike intrigue with the battle between good and evil. Emily Rose's life was hidden for a long time, but her story on the screen came out of nowhere and "pulls no punches" when it comes to the seeming reality of the paranormal. The film is an event-by-event recollection of a legal team and a clergyman on the days surrounding a famous case of supposed demonic possession in the American heartland. It dares to put forth the theory that spiritual battles can take place without cultic rituals, voodoo dolls, ancient curses and madmen wielding three-foot long machetes. With a nominal budget and a cast of phenomenally engaging actors and actresses, it convinces audiences that the Devil and demons like Legion are real; as is Heavenly redemption. Emily Rose (Mary Beth Hurt), Laura Linney (the lawyer) and Tom Wilkinson (the priest) make up an unexpectedly vibrant and heartwarming cast. They recount the decline of Emily Rose as a proper and starry-eyed college student into a receptacle for the worst that Hell itself has to offer. According to eye-witnesses and legal records, this story is based on true events and provides ample evidence that the world is filled with powers that are yet to be understood. For many critics and movie buffs, The Exorcism of Emily Rose contains what is quite possibly the most horrifying and shocking scene in all of horror movie history. It occurs on a rainy night on the floor of a plain and otherwise normal dorm room. The nature of what clergy and storytellers know as wanton possession is colorfully and poignantly communicated for a few heart-stopping seconds. From then on, Emily’s story is real to the audience and worthy of being wary. 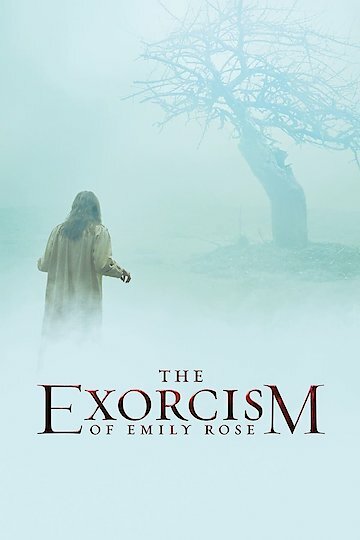 The Exorcism of Emily Rose is a “must see” for anyone that appreciates horror, the supernatural, unfettered great acting, and the lore of the Catholic church. The movie sets a new standard for any film maker that dares convince an audience of the existence of the bridge between modern life and the classic depiction of the Underworld. The Exorcism of Emily Rose is currently available to watch and stream, buy on demand at Vudu, Google Play, FandangoNow, iTunes, YouTube VOD online.